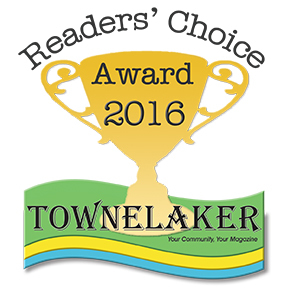 Thank you so much for voting for us in the Townelaker Readers Choice Awards!! The category this year was a combined optometrist/ophthalmologist grouping, and that put us up against some very big multi doctor practices that see a lot of patients. We are very grateful that our smaller number of patients spoke up! We appreciate you! !